Even individuals have been integral in shaping the uses of Balboa Park. One such is a David and Goliath story of Balboa Park's nomination as a historic place and one man's quest to stop it. 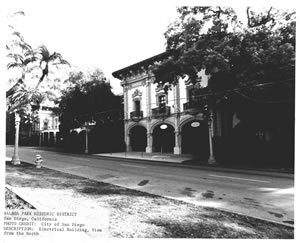 In the mid 1970s, a petition was sent to the National Park Service to have Balboa Park's original 1915 Panama-California Exposition buildings be recognized in the National Register of Historic Places. The nomination form acknowledged the Park's importance as one of the last places in America to have a majority of an exposition's buildings still intact. There were many benefits to be gained if Balboa Park's El Prado should become part of the National Register of Historic Places. The most appealing was access to federal grants for preservation and maintenance. This would lessen Balboa Park's fiscal impact on San Diego's city budget as well as ensure the maintenance of the aging buildings from the 1915 exposition. Additionally, Balboa Park would also be eligible for alternate building and fire codes allowing some of the buildings to escape condemnation. Most importantly, the federal government would officially recognize the Park as part of both national and San Diego history. The [1915 Panama-California Exposition] buildings were large boxes with surface pastry-tube decoration vaguely resembling Spanish baroque motifs and with no connection whatsoever with the Franciscan mission and Mexican adobe buildings of Alta California. 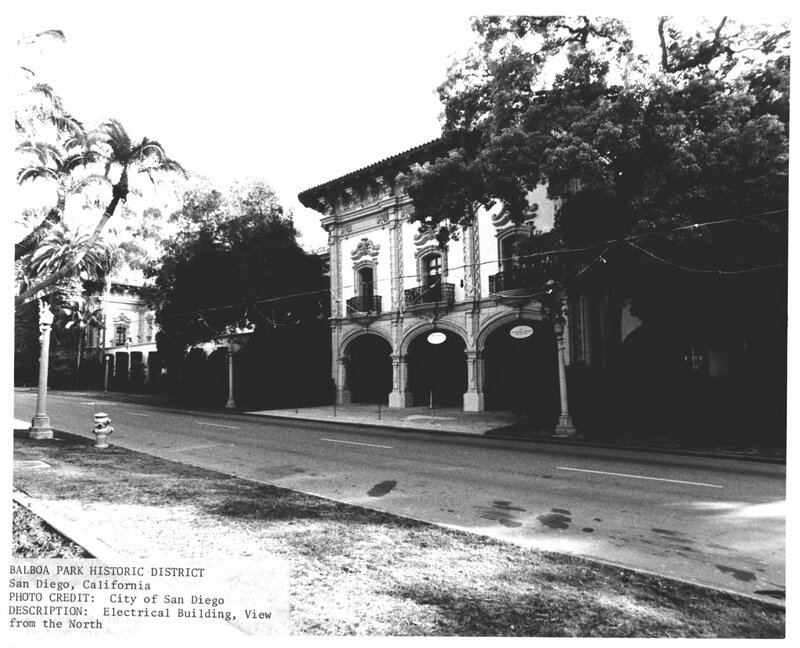 Mexican architects and critics today refer derisively to the historically-confused and overstated Spanish Revival style popularized by Bertram Goodhue as "California Spanish." However, for Amero the debate involved more than whether the Prado deserved to be a historical site. What San Diegans were discussing was not only how to remember a piece of their history but also who determines the memory of such a place. 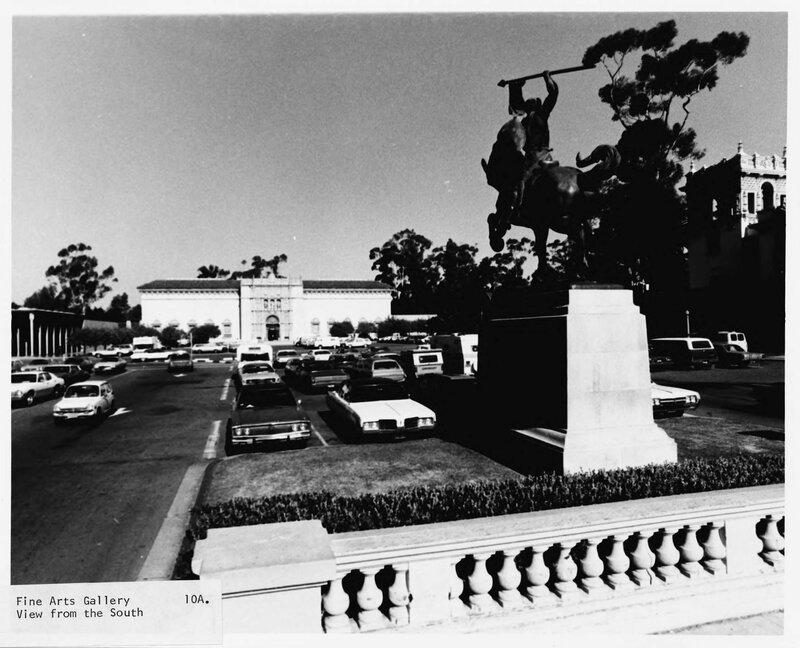 Despite Amero's objections, San Diegans that wanted the park listed won the day, and the park was officially granted a historic designation in 1977. "National Register of Historic Places Inventory - Nomination Form," National Park Service, 1977. Fine Arts Gallery in the late 1970s. 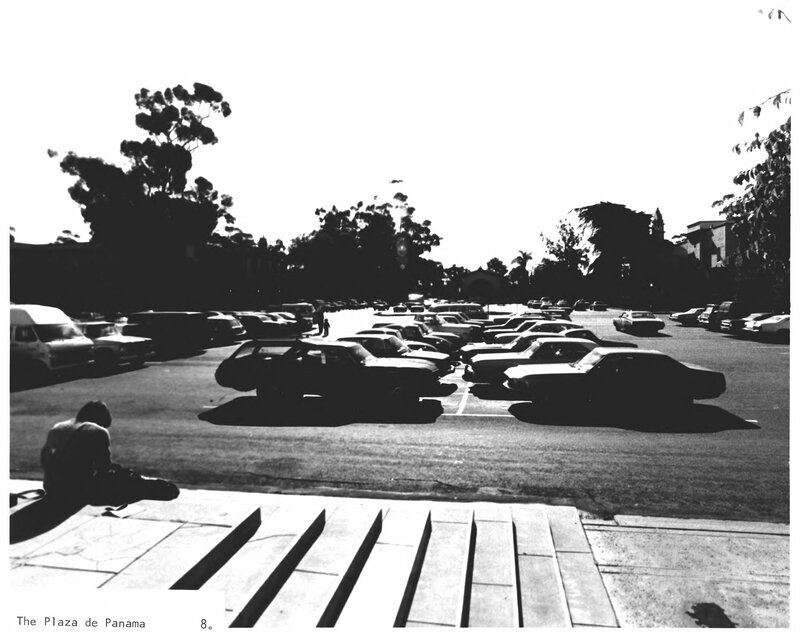 The Plaza de Panama in the late 1970s. The Electrical Building in the late 1970s. Issues over conservancy came to a head as a string of arsons devastated many of the buildings. Three separate arson attacks overwhelmed preservation efforts in Balboa Park. The Aerospace Museum, originally the Electric Building from the 1915 exposition, was destroyed and many artifacts, including a working replica of the Spirit of St. Louis were lost. Another fire destroyed the Old Globe Theater, built for the 1935 exposition, early the following month. A few days later, yet another fire was set by a Park security guard, damaging the House of Hospitality. Adding insult to injury the Los Angeles Times reported that the insurance company, Maryland Casualty Co., cancelled Balboa Park's policies for every building in the Park. According to the article, due to the age of the buildings and disagreement over the settlements from the arsons, San Diego "could resort to self-insurance." Later that year, because of the fires and loss of fire insurance, San Diego fire marshals, citing lack of fire sprinklers, condemned six other buildings from the two expositions. Most of the buildings were finally reopened. The old Ford Building was turned into an Air and Space Museum during the 1970s. Concern and issues revolving around Balboa Park did not focus solely on land loss and problems with the buildings. Many of the aforementioned preservation groups were well connected and usually wealthy. As a result, organizations like the Committee of 100 could easily use their money to include themselves in the debate over space usage. Other groups were not as well connected and criticism over ethnic and cultural diversity began to reverberate throughout minority groups as early as the 1960s. At the head of this call for diversity were Chicanos, whose demands for equal representation, cultural and medical facilities fell on deaf ears. By the late 1960s, many of these goals were successful due to a unified front by Chicano groups in San Diego. An article in the Los Angeles Times from 1968 noted that "a ground swell of solidarity is rising among [Chicanos] in part the result of the civil rights struggle which led many of them to 'dream impossible dreams.'" 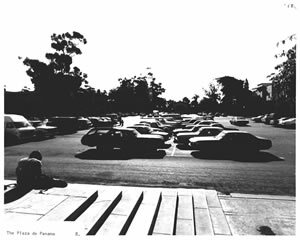 One of the high priorities of the Chicano movement during the 1960s and 1970s was a cultural organization in Balboa Park. Other groups, including San Diego's gay community, also sought use of the Park. This movement toward democratization of Balboa Park, unprecedented since before the first exposition, was an important step in the Park's urban history. The Centro was founded in the early 1970s, a result of the Chicano movement in California, and as early as 1971 the organization was pushing for a permanent space in Balboa Park. By January of that year, the Park and Recreation Board approved the use of an old water tank but needed to be finalized by the San Diego City Council. That approval came at the end of the year with the Centro leasing the space for one dollar annually. This would mark the first time that an organization using a facility in Balboa Park was solely dedicated to the Chicano and indigenous culture in California. In response to the City Council's final approval of the Centro's permanent home, the San Diego Union quoted Parks and Public Buildings Director William Gerhardt as saying, "This will meet a need that has existed for quite some time." Professor of Visual Arts, David Avalos, was associated with the Centro. 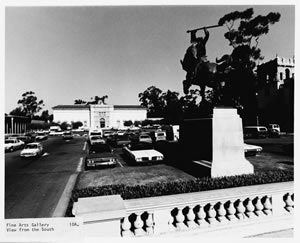 When asked why members of the Centro chose Balboa Park as opposed to other sites in San Diego, Avalos replied, "Well, I think there was some debate among folks, but the feeling was that [Balboa Park] was where the cultural center of San Diego is and think very wisely they thought, 'Hey, that's where we should be.'" Transcript of an interview with David Avalos, interviewed by Jonathan Bechtol, March 16, 2009. Entrance to the Centro Cultural de la Raza. Geronimo mural outside the Centro Cultural de la Raza. Map from Estrada Land Planning and City of San Diego Planning Department, Balboa Park: Master Plan (San Diego, 1989).